New York Health & Racquet Club (NYHRC) has a reputation for being one of New York City’s first gyms, pioneering the health club concept. But since the late 90s, competition in the marketplace has greatly intensified and efforts to attract consumers/members became increasingly aggressive. 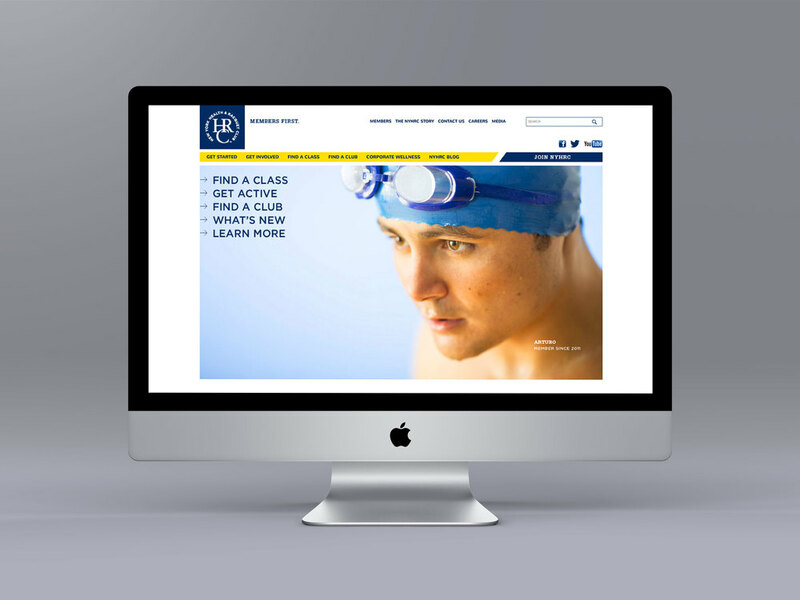 NEO was tasked with re-introducing NYHRC to the NYC market with a marketing strategy that supports the values of this venerable brand while keeping longtime members interested and attracting new membership to the organization. 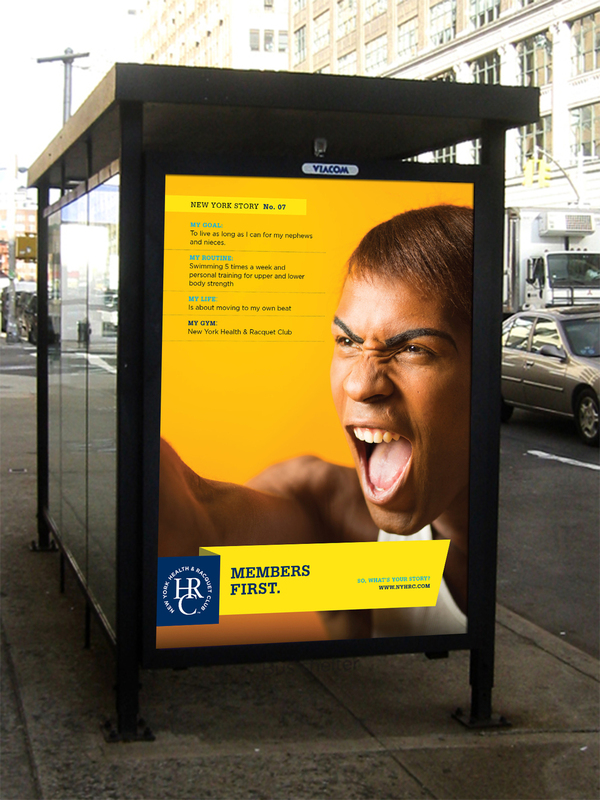 NEO launched the "Members First" campaign, capitalizing on NYHRC's deep commitment and relationship with its membership on the occasion of the health club's 40th anniversary. NEO created a series of "New York Stories," member profiles that emphasize how much health and fitness (and HRC) play a role in these members’ everyday lives. Strategic print and online placements in regional, local, beauty, health and fitness publications ensured reach and impact. We also capitalized on unique advertising opportunities such as traveling bicycle billboards, which were seen in neighborhoods where there is a NYHRC location. 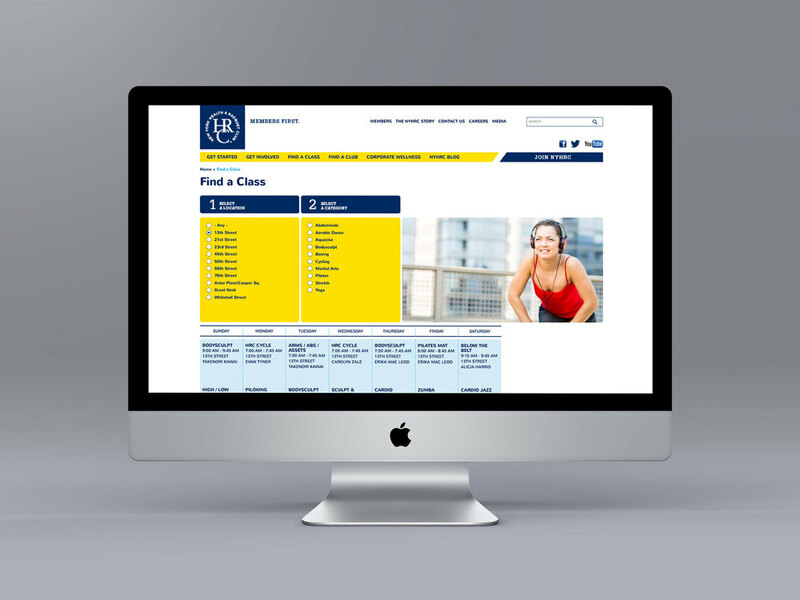 An online experience tailored to the needs of NYHRC's membership emphasizes accessing information on new classes, an interactive class calendar, pool locations, member amenities and special promotions with just one-click. Vibrant portraits of the health club's diverse membership and their stories support the company's mission of fostering an environment where all are welcome. The health club that pioneered health and fitness as a lifestyle is the foundation for this "love letter"; an ode to NYHRC's many "firsts" and a testament to their longevity and commitment to their members. Printed in the company's bold brand colors, this membership folder functions as a welcome kit for new members as well as a prospecting piece used for new business outreach.